Infield Instrument AB offers a range of electronics products and services for hydraulics-related applications. 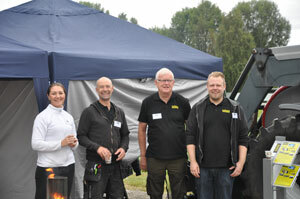 We are situated in northern Sweden - surrounded by some of the most respected hydraulic companies in the world. 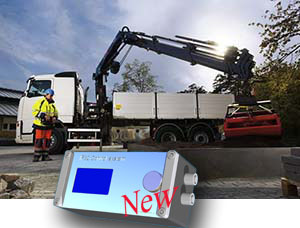 Infield makes tough specialised measurement and control equipment. We also deliver programming and consultant services with an in-depth knowledge of our field. Follow the progress of our new Smartphone connected crane control system. Once again have our students from the local school shown out. This year's accomplishments ended with a small exhibition on the school. In our show we let the visitors participate in our crane race where the precision in the IF32 control system really came in handy. In the foreground, one of our students, Oliver, checking that the driver, Hans, didn't use more than his time (5 min). The winner managed to pile 5 woods, after a miraculous save. Check out our products and us making the IF32 control system the most interesting news on the timber crane market. News.